Tis the Season to be Grateful as MY POPE PHILIPPINES Gives Us, The Christmas Bundle Treat! 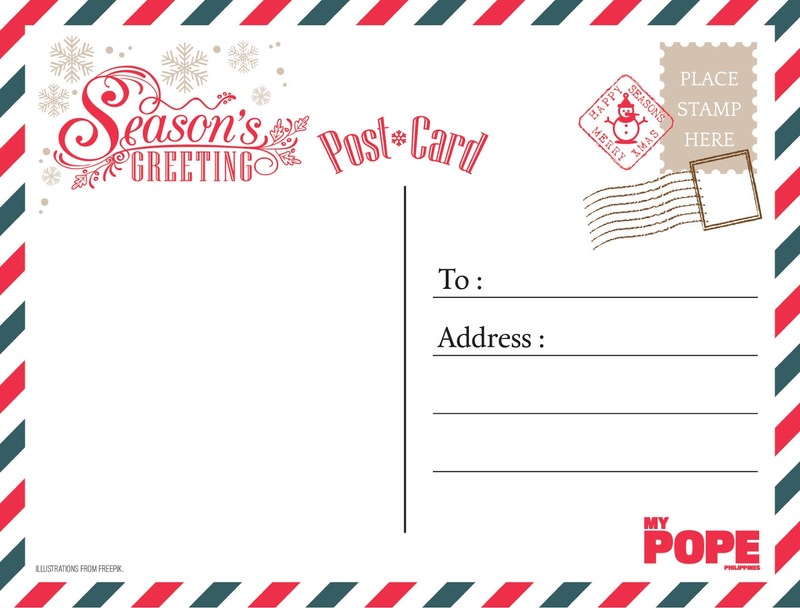 Kids and the limited edition, My Pope Christmas post cards all for FREE. Collect all 2 designs perfect as Christmas giveaways for your family, friends and love ones. Have a glimpse of the Vatican’s holiday decorations over the past few years, as well as yummy Christmas recipes from Lolo Kiko’s days as a cardinal. 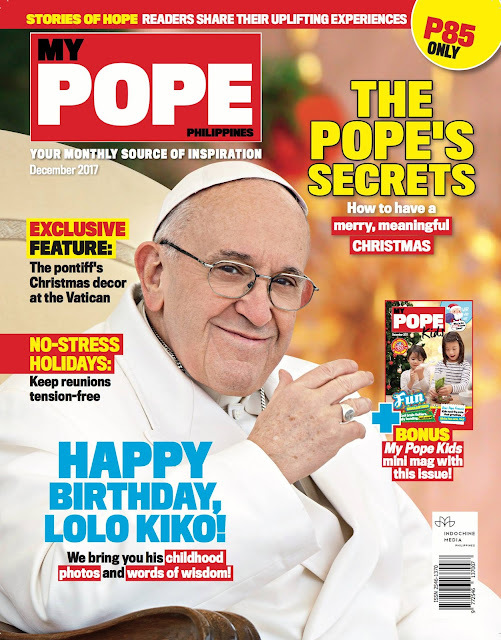 This issue, they also bring you Pope’s advice for a more meaningful holiday and 12 other gifts that you can offer your loved ones this Christmas. Take a look at My Pope’s tips for fun and stress-free gatherings from all the reunions you will probably have this holidays. 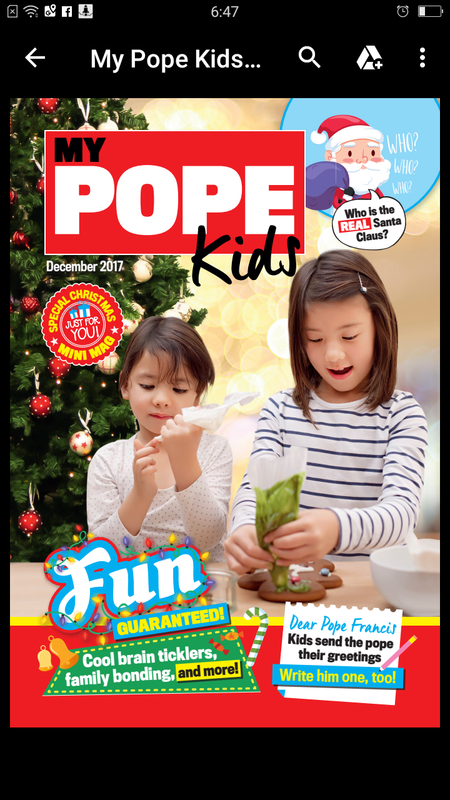 At the same time, it consists of fun games, puzzles, illustrations, funny stories and letter making to Pope Francis that kids will surely love. their goodness as they grow old. newsstands nationwide for only P85 per copy. reading and always remember to “give the gift of My Pope”.